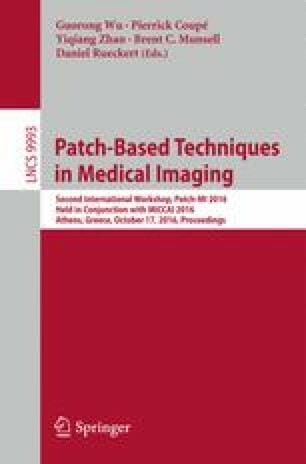 Multi-atlas segmentation serves as an important technique for quantitative analysis of medical images. In many applications, top performing techniques rely on computationally expensive deformable registration to transfer labels from atlas images to the target image. We propose a more computationally efficient label transfer strategy that uses supervoxel matching regularized by Markov random field (MRF), followed by regional voxel-wise joint label fusion and a second MRF. We evaluate this hierarchical MRF framework for multi-label diencephalon segmentation from the MICCAI 2013 SATA Challenge. Our segmentation results are comparable to the top-tier one obtained by deformable registration, but with much lower computational complexity. This work was supported by the NIH grant R01 EB017255.